Since 2012, Huang has made donations to both of Australia’s main political parties. He has also been pictured with high-ranking politicians including former Prime Minister Malcolm Turnbull. “My words and actions are fully in accordance with Australia’s foreign policies and laws,” he said. In the scathing and lengthy Global Times interview, Huang said Australia had “the innate characteristics of a giant baby” when asked about the cause of the problems between Beijing and Canberra. “This is an objective fact and it does not mean Australia has to feel inferior. The growth of a giant baby takes time, and Australia still has a long way to go,” he said. 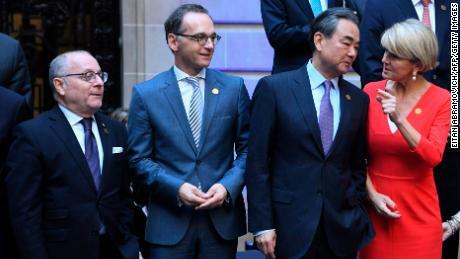 Relations between Beijing and Canberra soured in December 2017 after the Australian government introduced a package of foreign interference laws, amid growing concerns over China’s influence on politics, academia and media in the country. Huang said that “every Chinese” person in Australia could face scrutiny from Australia’s intelligence services. “What I did not expect is that a system that boasts democracy and rule of law would allow some people from its intelligence agency to punish a permanent resident with groundless accusations,” he said.